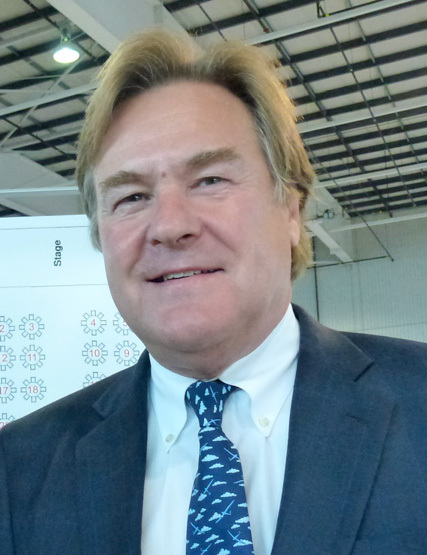 Rod is currently the Vice Chairman of Nordic Aviation Capital. Prior to joining NAC Rod spent 28 years with Bombardier and its Toronto based predecessor, Boeing Canada/de Havilland. During his time at Bombardier, Rod held a number of positions in sales and marketing new and used regional aircraft. In 1994 Rod launched the Asset Management Group. From its inception, Rod and his team placed aircraft from all the leading regional manufacturers. His most notable achievements included converting Bombardier products to serve special missions, converting CRJ 200s for corporate use and creating CRJ 200, Q400 and EMB 120 freighters. Prior to this, Rod worked in general aviation at Aviation Unlimited, based at Buttonville Airport, as the sales manager for Piper Aircraft in Eastern Canada. Rod has been interested in aviation all his life. At the age of 17 he earned his Private Pilot licence, followed shortly thereafter with Commercial licence, Instrument, Multi-engine and Float endorsements. He was active as a professional pilot until the age of 25 when he moved into the business side of the industry. 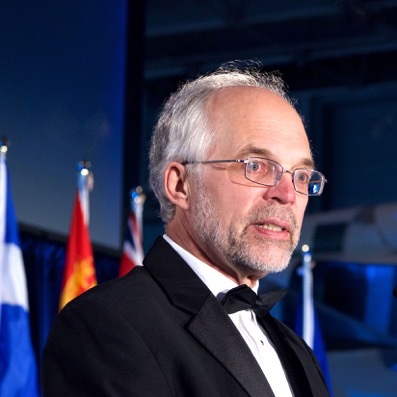 Rod is currently a Trustee of the International Society of Transport Aircraft Traders (ISTAT) Foundation, Chairman of the Foundation Fundraising Committee and Chairman of Canada’s Aviation Hall of Fame. He resides in Toronto. Chris Cooper-Slipper is the son of the late Mike Cooper-Slipper, who was inducted as a Member of Canada’s Aviation Hall of Fame in 2003. Not surprisingly, he followed his father into a career in aviation, as a pilot and later as a sales executive with de Havilland and then Field Aviation. Chris developed good relations with key aircraft and equipment manufacturers, distributors, operators and strategically important business partners throughout the aviation industry. He was involved in a broad range of activity throughout his 45 years working in sales and marketing. His experience included aircraft modifications and conversions, aeronautical engineering, parts manufacturing, aircraft interiors and aircraft sales. 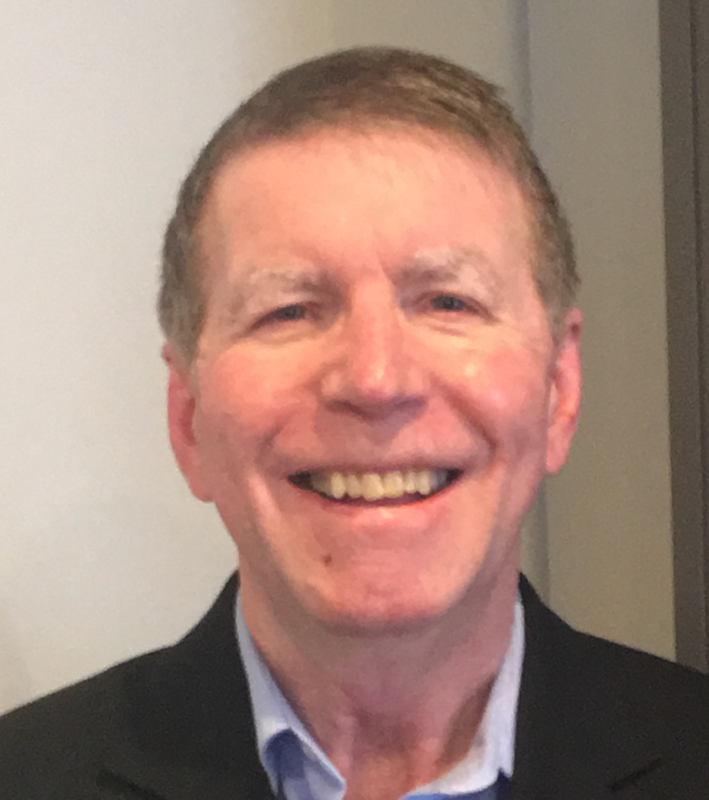 Bob Payne has been involved with Canada’s airline and aviation industry over the course of a forty-year career that has spanned all sectors of the industry and all geographic locations in the country. His industry focus was primarily in Finance and Management, including M&A activity but also with involvement in Board and Investor Relations along with Ecommerce, IT, Human Resources and new airline startups. Mr. Payne then worked in both Vancouver and Montreal focusing on the evolution of IT and Ecommerce in the industry. Then with the creation of Porter Airlines at BBTCA, Mr. Payne was asked to assist with the startup and management of one of Canada’s premier regional airlines. 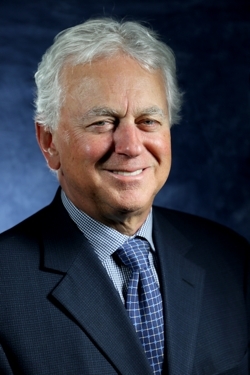 Michael Bannock is President and Founder of Worldwide Aircraft Ferrying Ltd. and Jet-Share Canada Inc. He obtained his Private Pilot licence in 1975 and earned his Float endorsement on a de Havilland Beaver that same year under the tutelage of his father, Hall of Fame member, Russ Bannock. Commercial Pilot licence, Multi-engine endorsement and Instrument rating followed two years later. In 1977 Michael flew for Emirates Air Service out of Abu Dhabi. In 1979 he founded Worldwide Aircraft Ferrying Ltd. The company annually ferries over 100 aircraft around the world. He was Chief Pilot for Eaton’s of Canada from 1980 to 1998, and in 2002 he founded Jet-Share Canada Ltd. which operates Cessna Citation Aircraft and conducts maintenance on Toronto-based aircraft. In 1988 he was on contract to de Havilland Aircraft Canada Flight Operations Department performing production test flying and delivery flights on DHC 5, DHC 6, DHC 7 and DHC 8 aircraft. He has amassed 15,500 hours of total flight time, which includes over 5,500 hours of float time. Michael lives in Toronto. Tom Appleton followed his boyhood dream of becoming a commercial pilot from age 18. For six years he flew a collection of WWII vintage aircraft on geophysical survey contracts in the Canadian Arctic, Africa and South America, under United Nations and Canadian government contracts. He joined de Havilland as a test and demonstration pilot in 1966 and in 1986 was appointed Vice President, Marketing and Sales, responsible for establishing the de Havilland Dash 8 as the premier turboprop airliner in the world market. In 1991 he joined Canadair to launch the Canadair Regional Jet sales program under Bombardier Aerospace. 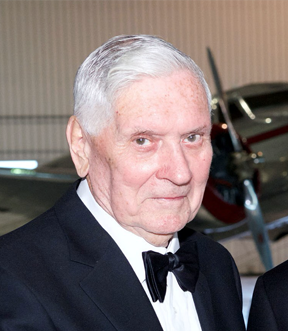 After six years as president of Bombardier Amphibious Aircraft, Tom retired in 2002. He currently consults on organizational strategies, product development and marketing for clients in Canada and overseas. Tom is a graduate of the Executive Development Program at McGill University’s Business Institute. He was appointed Fellow of the Royal Aeronautical Society in London, and is a member of the Society of Experimental Test Pilots. He is a past Chairman of the Board of Canada’s Aviation Hall of Fame. He resides in Oakville, Ontario. 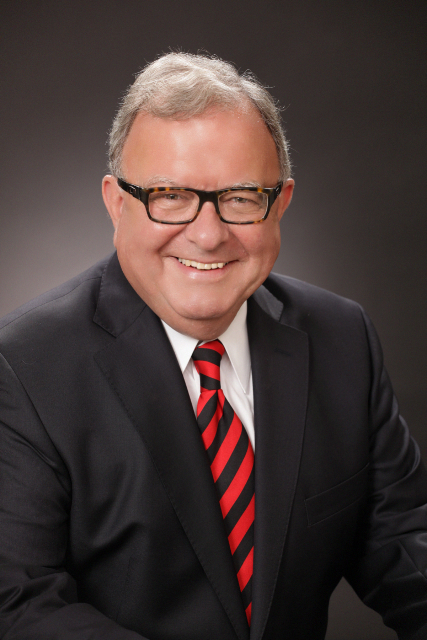 Bruce Aubin has held leadership positions over more than 50 years in Canadian aviation. His first position was with Canadian Car and Foundry at Fort William, Ontario. He served as Group Leader, Structures, and subsequently Chief Systems Engineer for the Harvard and Beech aircraft production program. In 1953 he joined TCA / Air Canada, where he progressed through Engineering to Senior Vice-President, Technical Operations. Born in Hamilton, Bruce is fluently bilingual. He is a graduate of McGill University with an MBA degree, he held a multi-engine commercial pilot licence, and aircraft and engine mechanic’s licences. One of his key interests is the history of civil aviation in Canada. His knowledge and association with Canadian aviation leadership, including government, has been extensive. Bruce lives in St. Catherines, Ontario. Gordon served as a member of the 1st Battalion Black Watch in his native Scotland. He began his aviation career in 1975 at Prestwick Airport Scotland with Esso Petroleum. In 1994 the family emigrated to Calgary, Alberta, where he joined the aviation arm of Imperial Oil to run the Fixed Base Operation in Calgary. 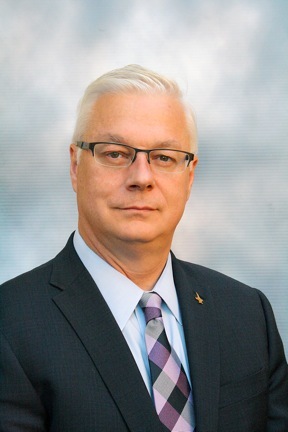 Gordon has served as President of the Alberta Aviation Council and also spent 14 years involved with the Canadian Business Aviation Association. He is currently working in Sales and Marketing for FlightSafety International. Gordon lives in Cowley, Alberta. Denis Chagnon is President of York & Cumberland Communications Inc., specializing in aviation and humanitarian issues. He was head of communications and spokesperson for the United Nations International Civil Aviation Organization (ICAO) from 1996 to 2011. His extensive communications experience includes similar activities with Air Canada from 1979 to 1992, as well as financial institutions and Canadian government agencies. He received his Bachelor of Journalism from Carleton University (Ottawa), and worked in print and broadcast journalism in both French and English. He is a professional speaker, master of ceremonies and has contributed to a number of aviation-related magazines and publications, notably the Memoirs of Dr. Assad Kotaite, President Emeritus of the Council of ICAO, and the ICAO STATES TODAY commemorative albums. Denis is a founding president of a Toastmasters Club in Montreal, and he supports a number of local and global community humanitarian organizations, including Keroul, a Montreal-based, non-profit organization committed to the promotion and development of accessible tourism and culture, with all modes of transportation. Denis lives in Longueuil, Quebec. 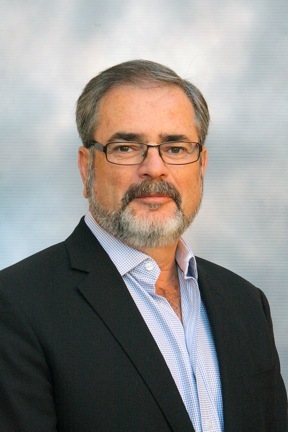 Rick is currently Executive Vice President and Chief Corporate Development Officer, Chorus Aviation Inc.(Chorus). He held the positions of Chief Financial Officer at Chorus prior to his current appointment in 2015 where he is charged with leading growth initiatives that diversify the Chorus group through acquisitions in strategic areas that leverage Chorus' expertise and relationships with strategic partners in identified growth areas. 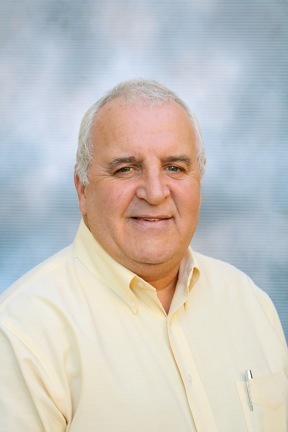 His experience in the Canadian regional airline industry spans over 30 years when he started as financial controller with Air Nova in 1986 and encompassed assignments and responsibility in most functional areas within the industry including finance, airports, in-flight, commercial and sales and marketing. He was appointed Vice President, Business Development under the merged Air Canada Regional Airlines in 2000, and in 2003 was seconded to Air Canada for a two-year period where he led the restructuring of all domestic carrier commercial agreements post the merger between Air Canada and Canadian Airlines. 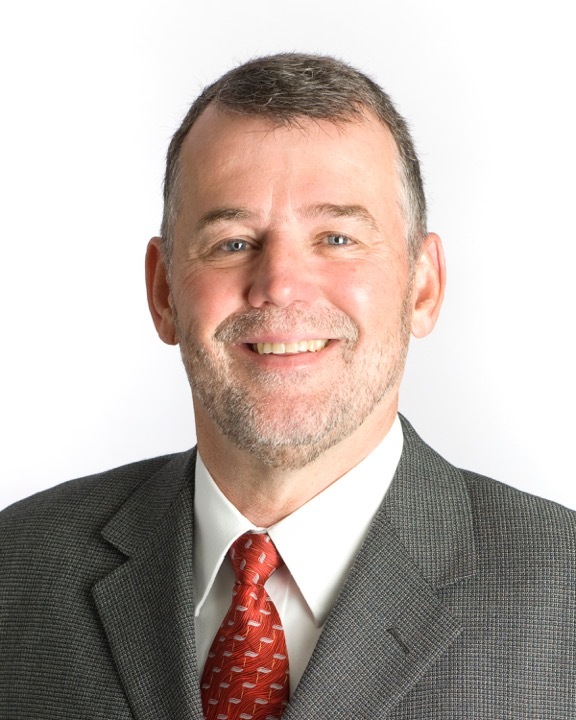 Rick serves on the Chartered Professional Accountants (CPA) Canada’s advisor committee, Canada Performance Reporting Board, and has served in the past as a director of several small cap companies involved in the mining sector. He is a CPA, formerly Chartered Accountant, who holds a Bachelor of Commerce Degree (Honors) from the Memorial University, Newfoundland and a Master Degree in Business Administration from Saint Mary's University, Halifax, Nova Scotia. Rick, an avid long distance cyclist, lives in Halifax and is married to Nancy Flynn (nee Mcfatridge). Starting his career in aviation with the RCAF in 1950, Jim McBride served as an aero engineer overseas and in Canada. In 1953 he earned his pilot’s licence and started Midwest Aviation Ltd. in Winnipeg with one aircraft - a Piper Super Cub. 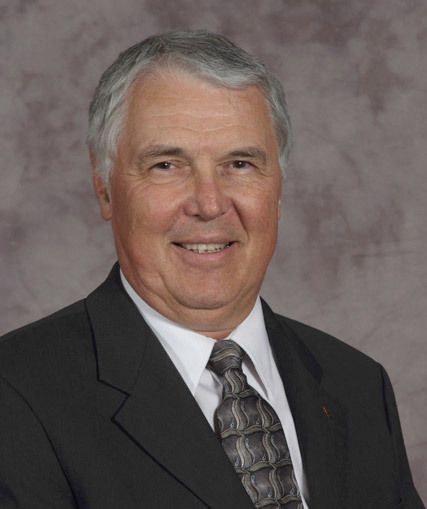 Jim has served as a director of the Air Transport Association of Canada and was founding member of the Manitoba Aviation Council. By 1967, Midwest Aviation was flying helicopters as well as fixed wing aircraft. In 1968 Midwest merged with Transair Ltd., with Jim as president. Service continued to expand with routes and aircraft, and was then flying Boeing 737 jets. After selling his shares in Transair in 1973, Jim and his family moved to the Calgary area, where he became a very successful rancher, breeding Limousin cattle. He continued his interest in aviation with a Piper aircraft franchise and established Turbowest Helicopters Ltd. In 2014 Jim finally retired with the sale of his interests in ranching and the aviation business. He was inducted as a Member of Canada’s Aviation Hall of Fame in 2015. Anna earned her Private Pilot licence in 1977, followed by her Commercial / Instrument, multi-engine and float ratings. In 2004 she completed the Glass Cockpit G1000 certification. 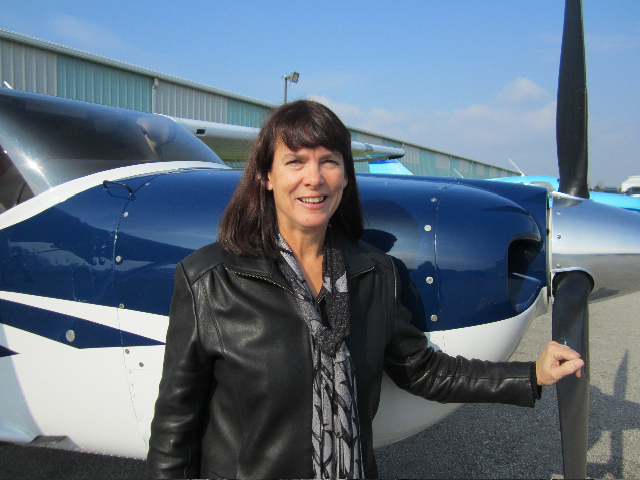 She has extensive flying experience throughout Canada and the USA. She graduated from York University with a BA in Economics in 1985, and a second BA from York in Humanities in 2002. Anna started her own company, Apex Aircraft Sales, Ltd. in 1988 and became agent for new Cessna aircraft for Leggat Aviation Inc. in 1996. She received the Robert Ames gold CSTAR Award from Cessna Aircraft Company for Excellence in Retail Sales in 2001 and 2002. She is a long-time member of the International Organization of Women Pilots, The 99s. She has held various offices in the organization, including head of Operation Skywatch, 1985-1988, a joint program with the Ontario Ministry of the Environment, and participated in the filming of “Angels of the Sky”. Anna is a long-time member of several aviation-related organizations, including AOPA, COPA, and WIA (Women in Aviation International). She has excellent organizing skills, and has organized several conferences and air rallies. She is President of Northern Lights Foundation (2009), an organization which recognizes women who have made significant contributions to aviation and aerospace in Canada. She lives in Unionville, Ontario. Craig Richmond assumed the role of President & CEO of the Vancouver Airport Authority in July 2013, following a career in airport management, including more than a decade in operational roles at Vancouver International Airport (YVR). In 2006, Craig embarked upon a global airport leadership adventure with YVR subsidiary Vantage Airport Group, which took him around the world as CEO of six airports in three different countries. Craig originally joined Vancouver Airport Authority in 1995 and spent more than 11 years in various operational roles including Manager, Airside Operations and Vice President, Operations. During his tenure as VP, he oversaw the safe and efficient movement of millions of passengers, including those diverted to YVR in the aftermath of the September 11, 2001 terrorist attacks. He championed airfield safety, including the introduction of the first rdar debris detection system to a commercial airport, led strategic planning and community consultation for major changes to runway operations and spearheaded improvements to YVR’s world-renowned customer service. He also served as the organization’s lead spokesperson during crisis and issues response. Craig's love of aviation began at an early age; he earned his pilot’s licence before learning to drive a car. Between 1980 and 1990, he served in the Canadian Armed Forces, piloting fighter jets with 439 and 441 Tactical Fighter Squadrons, on both the CF-104 and CF-18 aircraft. He was educated at the University of Manitoba, earning a BA and MBA in Business Administration. He serves on the Canadian Airports Council’s Board of Directors. He resides in Richmond, BC. Dave was born and raised in Edmonton, and has worked in Calgary and Toronto. He earned a B.Sc in Electrical Engineering, and a B. Commerce from the University of Alberta in 1972 and 1973 respectively. His working career was in the energy industry where he worked the business side of his education even though he was hired as an engineer. Dave earned his Private Pilot Licence at age 17 with the instruction of Hall of Fame member Vera Dowling. He has owned three aircraft over the years since, a Piper J3 Cub, a Cessna 172, and a Cessna 206, and continued private flying for enjoyment until 2013. He has been a member of COPA since 1966. 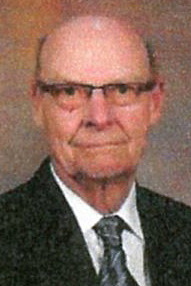 His volunteer work included sixteen years on the Board of Directors of the Edmonton Petroleum Club, President in 2000-2001, six years on the Advisory Board of the Reynolds Alberta Museum, Chairman in 2009-2010, four years on the Board of Directors of the Edmonton Petroleum Golf and Country Club, President 1998-2000. Dave is a life member of the Association of Professional Engineers and Geoscientists of Alberta and is a member of the Edmonton Petroleum Club.